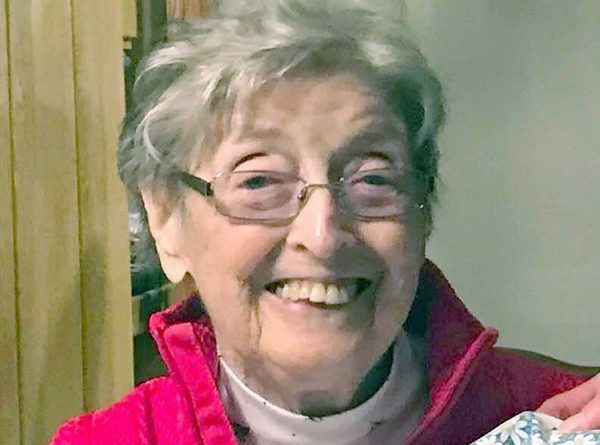 Allene M. Miller, age 90, a former resident of Stevens Point, died peacefully April 8, 2019, at Agrace Hospice in Madison with her family by her side. A Celebration of her life will be held on Sunday, April 14 from 1:30 – 3:30 p.m. at Boston Funeral Home, Stevens Point. A private burial will be held in Guardian Angel Cemetery. Allene was born November 29, 1928, in Winnipeg, Manitoba to the late James and Ellen (Pearce) Richards. Allene graduated valedictorian of the class of 1945 at St. Vital High School. She was awarded the Betty Lethum Shirley Armstrong Scholarship and attended the University of Manitoba, graduating with a bachelor’s degree in social work. She assisted many children in her role as a social worker with the Children’s Aid Society until she married the love of her life, George Miller, on May 23, 1955, in Winnipeg. Allene was a loving mother and wife, raising her six children in a supportive environment. She was the rock and heart of the family. Allene was very strong in her faith and an active volunteer in the Ministry Service at River Pines Nursing Home and at St. Stanislaus Catholic Church in Stevens Point. Allene was preceded in death by her husband George H. Miller and is survived by her children, Kim (Tom Thoresen) Miller of Fitchburg, Randall Miller of Syracuse, Utah, Sylvia (John) Bauman of Delafield, Kent Miller of Altoona, Marilyn (Rich) Larson of Madison, and Greg (Paria) Miller of Scottsdale, Ariz. She is further survived by her grandchildren, Daniel and Douglas Thoresen, Grant Miller, Jenny, Ryan, and Jessie Bauman, Jimmy and Michael Larson, and Daniel Miller. She is also survived by her brother Keith Richards of Winnipeg; and many nieces and nephews. Special thanks to Terri Kysely, Father Tony, Deacon Jerome, Sister Marge, and Sister Carlene, who supported mom spiritually on her journey. Also special thanks to Agrace Hospice and Oakwood East Rehabilitation Unit for their excellent care. In lieu of flowers, contributions may be made to St. Maria Goretti Parish in Madison or Wisconsin Public Television. Online condolences may be made at www.bostonfuneralhome.net.